The Enthusiast Network joined forces with 10up to migrate their network of sites, including flagship MotorTrend.com, to WordPress. When automotive enthusiasts and prospective car buyers want reliable vehicle information and a steady pulse on the industry, they turn to Motor Trend: the leading American automobile magazine. 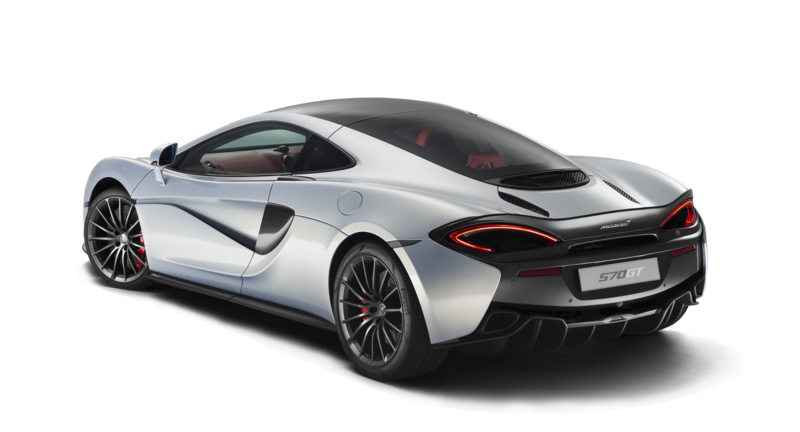 Motor Trend provides consumers with expert car reviews, vehicle comparisons, and sneak peeks of upcoming models. Published and managed by TEN (The Enthusiast Network), Motor Trend reaches millions of readers each month through its print publication, website, and social media presence. As a premier media group—operating over 60 websites for well-known automotive and action sports brands—TEN understands the importance of offering the best digital experience. 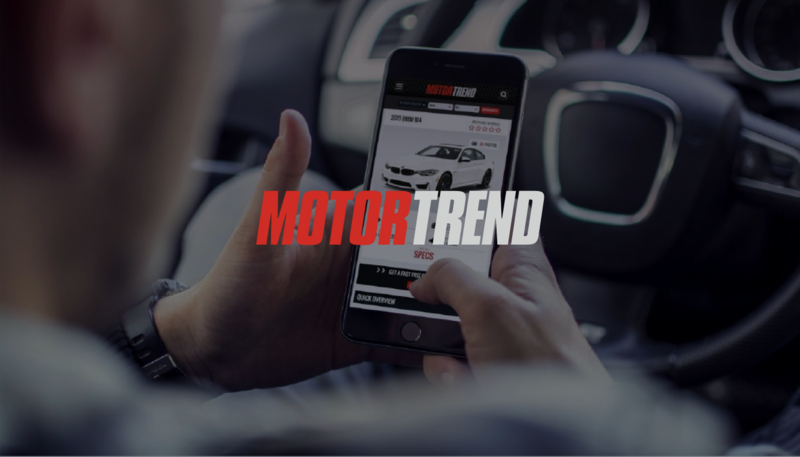 While MotorTrend.com supports a monthly audience of over seven million readers, TEN noticed a decrease in their site’s organic search traffic following a Google Panda update. The TEN team wanted to remedy the resulting sluggish site performance as well as correct the inconsistencies in their outdated content management platform (CMS). TEN partnered with 10up to migrate their network of properties to WordPress, beginning with MotorTrend.com. For the first migration, 10up targeted improving site performance, modernizing the site’s design, and simplifying editorial customizing. The project began with 10up working alongside TEN stakeholders to uncover key business objectives, review designs, explore improved editorial workflows, and document 20+ years of site data. Learning from editorial challenges posed by the previous CMS, 10up created a new information architecture, alongside clear content creation and curation workflows for editors. 10up introduced new taxonomies to better organize event and vehicle data and developed a theme based on client prototypes. 10up engineers iterated on the theme design in-browser, facilitating quick feedback cycles with TEN stakeholders. 10up also identified shared assets between TEN properties. To facilitate cross-site sharing of content, TEN was migrated onto a “multisite” network, with all sites sharing a single WordPress installation. 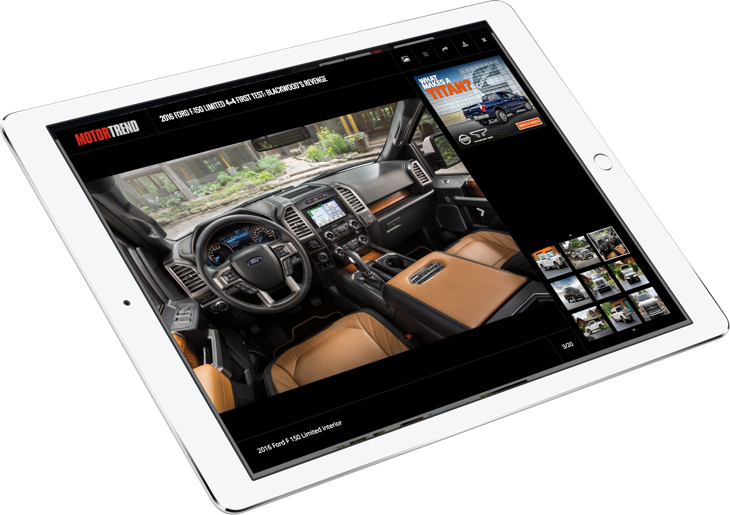 For Motor Trend’s online Buyer’s Guide, 10up created a dedicated “Vehicle” site within the multisite network to house vehicle images and data. This way, up-to-date vehicle data could be managed in one place and shared across all of the sites within the network. To ensure the Guide contained up-to-date photos, 10up engineered an automated image synchronization using izmocars: a third party provider of stock vehicle images. To prevent this sometimes resource intensive solution from slowing down the sites, 10up rerouted the vehicle site’s processing load to a separate virtual machine. The refreshed MotorTrend.com won a 2016 People’s Voice Webby award in the Websites: Car Site & Car Culture category. Photo galleries accessible from an icon in the top right corner of a story’s featured images. When clicked, visitors can see all of the article’s photos at once. TEN editors can add multiple images or galleries to a single article without concern for page length. To provide a reliable, performant, and secure infrastructure supporting TEN’s enormous traffic and editorial team, 10up engineered a highly tuned stack on top of the CenturyLink Cloud platform. While CenturyLink provides enterprise-class hardware, 10up continues to manage the high availability WordPress stack, providing timely updates, patches, and proactive performance management, from the Nginx web server all the way to WordPress plugins and the Content Delivery Network (Akamai) caching static assets delivered to visitors. Following several rounds of preliminary testing and refinement to the migration scripts, 10up rapidly migrated the massive archive of content to the new platform by using multiple servers to complete the process in just a few days. Carefully coordinating the timing of migration scripts to occur during off hours for the editorial team, TEN was able to move forward without any disruptions to their publishing workflows, let alone the reader experience. From the new reader experience for millions of car enthusiasts, to the behind the scenes content migration, the TEN / 10up team set the bar for future automotive property migrations. Check out the newly relaunched MotorTrend.com, and watch for additional TEN property platform migrations to come.